If you run a for-profit business, the bottom line is your financial profit. The goal is to make money. At the end of the day, you are measured by how much money you made or lost. That's the bottom line. People in social enterprise talk frequently about the idea of businesses with a double bottom line: money and social impact. The financial return on investment is important. But so is the social outcome of your enterprise. There are also companies that talk about a triple bottom line: financial, social, and environmental/ecological impact. And a quadruple bottom line: financial, social, environmental, and future impact. You can see where this is heading. Lines upon lines. More good things to strive for, less clarity in achieving them. We are especially guilty of this in the nonprofit arts. Since most of our organizations don't have one very specific, measurable mission (i.e. "ending chronic homelessness"), we measure lots of things. The beautiful part of a broad mission is the opportunity to explore diverse facets of its fulfillment. The depressing part is the inability to see clearly and concretely whether and to what extent you are achieving your goals. I've been thinking about all of this recently because I'm in the midst of negotiating a partnership with a for-profit real estate developer to enhance a public plaza adjacent to my museum. One of the things that is really apparent from these negotiations is how clear he is on his bottom line. He cares about the social impact of his projects, but at the end of the day, he uses financial profit to measure their success. He's got clarity about what success looks like. In contrast, I've got a mirrored funhouse of measurements for success. How do we value attendance against diversity of attendees? Depth versus breadth of programming? Individual outcomes for participants versus collective outcomes for the community? If there's just one thing at the end of the day that we care most about, what is it? We spend too much time debating what the desired impact is and not enough time on how to achieve it. If we are constantly debating what "good" or "quality" looks like, we're wasting time we could be using honing our work to better deliver on the social impact we've all agreed is important. I'd love to work for an organization that clearly knows that the impact it wants to have is X--so we can focus on doing X. We gather too much scattershot data and don't invest in deep measurement on the things that matter most. We've been on a big evaluation push at my museum, and the hardest part is editing ourselves down to a few indicators that we feel consistently reflect impact. Not the things we're curious about for a particular program. Not the things we're interested in but don't relate to our impact statement. It's hard to cut back, but it is leading us to more productive conversations about the data. When we measure less, we attend to the individual indicators more. When we enter into partnerships--especially with entities from different worlds--we can't clearly express our purpose and needs. I'm seeing this strongly in my negotiation with this developer. The project is forcing me to hone in on what is absolutely MOST important to our institution when it comes to developing shared goals in partnership. I can't hand him a fifty-page engagement handbook and expect him to glean which parts are essential. I need a small handful of specific targets so he can understand what success looks like for us as quickly and clearly as I understand what success looks like for him. It can allow organizations to deceive themselves about what is most important. If your director, your board, or your boss is making decisions based on one piece of data, then that's the data that is most important to your bottom line. It doesn't matter if you're collecting tons of other data if he/she/they always decide based on money, or attendance, or learning goals, or patron complaints. 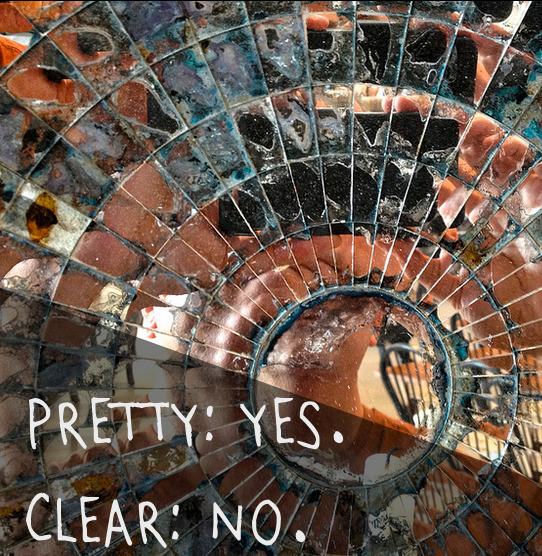 If they are focusing on the wrong thing, it may be because no one in the organization has put a stake in the ground about what the "right" indicator is. They may just be choosing one that is easiest to quantify (money, attendance, press), or the one that they understand best. All of this said, it is really, really hard to reduce the number of bottom lines in any organization. We're down to about seventeen indicators of success at our museum that roll up into five bottom lines. It's a heck of a lot less than we used to have. But it's still probably too many to do the best work we can do. How many lines are you tap-dancing on? What have you done to reduce or clarify the impact that is most important at your organization at the end of the day? Each summer, the Santa Cruz Museum of Art & History hosts MuseumCamp, a professional development experience that is part retreat, part unconference, part summer camp. This year, our theme is SPACE. I've been obsessed for years with the idea of "space making" as an approach to cultivating creativity, avoiding burnout, and empowering colleagues. This August, at MuseumCamp, we will spend 2.5 days together exploring the ways we make space, both for ourselves and for others. You can make space by making room for others to shine. You can make space by inviting non-traditional partners into your work. You can make space by giving yourself permission or time or a paintbrush. 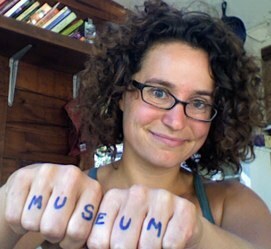 This MuseumCamp will be challenging–but not in a frenetic, obstacle course way. It will challenge us to confront blank canvases, empower others, and take care of ourselves. Our goal is to learn and practice new ways of energizing and renewing ourselves and others. To empower people to feel rich in time and resources even as we work hard to make change in a limited world. Last year, I learned how awesome it is to partner with someone outside of our museum to co-produce MuseumCamp. This year, I am thrilled that we are partnering with Beck Tench, a creative designer and deep thinker about making space (and the person who first introduced me to the term). 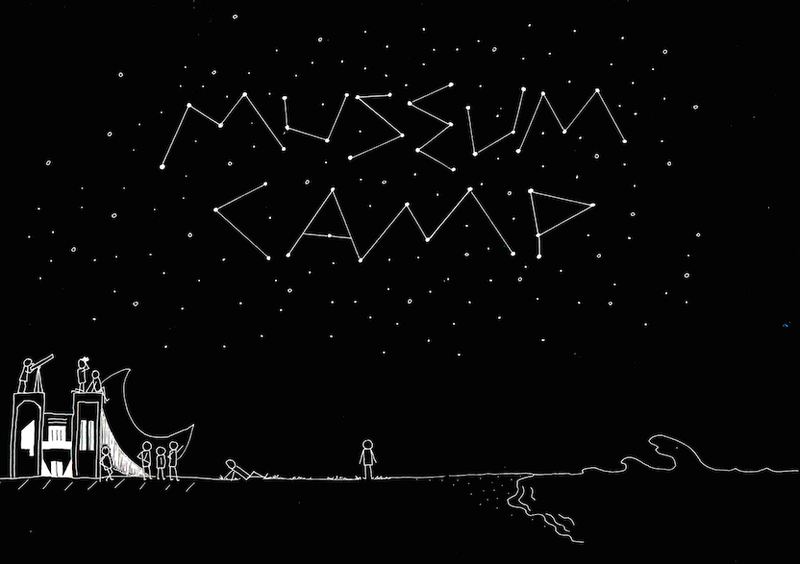 Learn more about MuseumCamp 2015 here, including dates, program plan, and more on the theme. Watch the video from MuseumCamp 2014 if you want to get a sense of the silliness behind the seriousness. MuseumCamp is for activists. For designers. For knowledge workers. For people on the front lines. For managers. For creative types. For anyone seeking to make positive change in your community. If you are interested in applying to attend camp, please check out the site and fill out an application today. We will accept applications through February 28 and inform people of selections in early March. Space is extremely limited and the process is competitive. I encourage you to apply soon. So if you are interested, please apply--and if you have a friend who you think would love this, encourage them to apply too. It's going to be out of this world. There are plenty of great arguments out there for WHY to make museums free. But HOW do you do it? It's much easier for art and history museums than for those museums that rely on admissions for a majority of their income (science, children's). Nationally, admissions income generates only 1-4% of most art museums' annual revenue. Max Anderson, currently director of the Dallas Museum of Art, is a fervent champion for art museums being free. As Anderson put it, "At what point are you going to allow something like 2.5 percent of your revenue to get in the way of mission fulfillment, of serving the fullest potential audience?" Indeed. I've been curious about free admission for a long time. It's one of the things I'd like to do at our museum in Santa Cruz but haven't made happen yet. The philosophical rationale is simple: if we are really a community institution, an institution for and with the public, we should be free. The financial rationale is a bit more complex than replacing 1-4% of the budget. There's the potential loss of membership gifts from people who are motivated by receiving free daytime admission. There's the potential need for more floor staff and security (hopefully)! There's the expectation--hopefully backed by a plan--that new philanthropic gifts will outweigh the loss of "value"-motivated members. Secure a philanthropic gift equivalent to 3-7 years of the lost revenue from daytime admissions. Aggressively market the philanthropic benefits of a free museum. Create a new value proposition for giving that is rooted in the idea that the museum is free and open to all. Recruit new members and donors who are invested in supporting public access. When we looked at museums that went free and then switched back to charging, we noticed that either one of these factors was missing or broke down. You need the multi-year gift to give you some runway. Even 2% of the budget is hard to replace if there isn't an obvious other source out there. Five-ish years appears to be long enough to build up the replacement philanthropic support for being a free institution. You need the emphasis on philanthropy because donors are the only ones who are willing to pay for free admission (even in small increments, like Tacoma Children's Museum's Pay as You Will policy). You shouldn't expect gift shop or cafe sales to increase with free admission. When museums are free, people use them more frequently, for more casual reasons. They don't treat the visit as a destination multi-hour experience necessitating a meal and a souvenir. Does this formula add up? Any other ingredients you have seen work--or fail--in making a museum free? If you are reading this via email and would like to share a comment, you can do so: here. Yes, I was that woman on the beach with a library book about urban planning. And loved it. One of my vacation goals was to think big picture about public space. I'm entrenched in a project to build a creative town square in Santa Cruz connected to my museum. I wanted to reconnect with the philosophical goals of the project. My favorite part of The Death and Life of Great American Cities was Jane Jacobs' treatment of strangers in public space. It challenged my pre-conceptions and made me think twice about "good" design for social bridging. Jane Jacobs writes beautifully about the anonymity of big cities. Lively public space creates opportunities for social contact without commitment. Share a smile. Pay for someone's coffee. Flip someone off. You'll never see them again. No friction, no repetition, no expectation. These anonymous collisions may seem trivial, but they aren't. They are continual reminders that we are all human. They often reinforce civility and empathy. They allow us to be kind, and generous, a bit wild even, without consequence. In places where there is healthy social contact among strangers, people help each other out. They intervene when a stranger is in trouble. They hold open a door. They care--because they only have to care for a minute. If social life ranges from "being alone" to "being together," public social contact exists in the middle. When we lose the public space that facilitates it--active sidewalks and thoroughfares--we lose the simplicity of anonymous collisions. Suddenly, the stakes get too high. 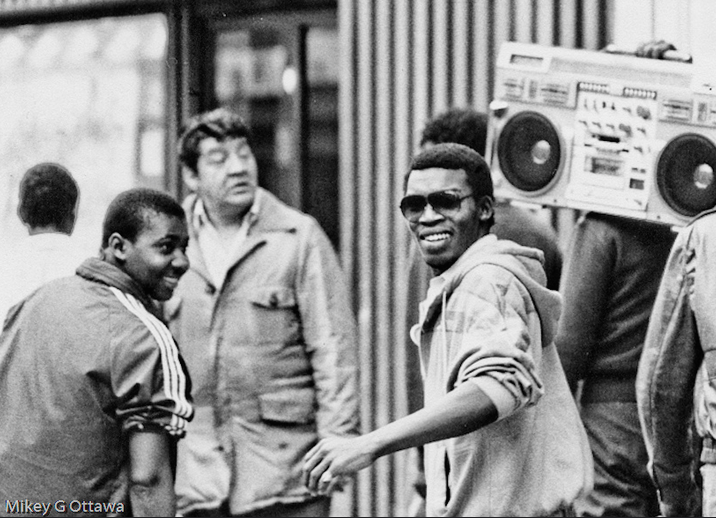 Now we can't just nod at each other--we have to get to know each other, exchange numbers, have a conversation. Social contact becomes work, and that work pays uncertain dividends: Friend for life? Bore? Injury? "Being alone" and "being together" are both useful ways to be. But they are extremes. When we don't feel safe in public space with strangers, we're stuck with these extremes. Either we're having a coffee date or completely ignoring each other. There's no in-between. Many of us live in towns where we rarely have the opportunity for this kind of anonymous, safe, positive social contact. This is a problem. It means we smile less at strangers. We take care of each other less. We fear it opens up a social contract for too much more. I am obsessed with designing opportunities for strangers to interact meaningfully with each other. I've always had a bias that building community means people moving from "alone" to "together." But Jane Jacobs showed me there are lots of different ways to experience togetherness. More "together" isn't always better. Sometimes it's a stressor to be avoided. My museum's mission is to "ignite shared experiences and unexpected connections." Reading Jane Jacobs, I felt glad that we're doing work to enhance low-expectation social contact. We do this in simple ways, like always putting out multiple chairs at an activity station. But I also worry that we sometimes set unrealistic expectations for the intensity and duration of interaction among strangers at the museum. Is it really necessary for visitors to share their life stories with each other? Is it OK for them to just share a pair of scissors? We're in the process of developing more consistent evaluation tools at our museum, and one of the things we track is how often strangers interact in the museum. I think we have a bias (I know I do) that deeper interaction--a longer conversation, an interaction with followup--is "better" than brief encounters. We've actually had internal debates about whether it "counts" if someone self-reports "talking to a stranger" or if they have to actually "have a meaningful interaction with a stranger." Maybe it's time to reconsider what kinds of stranger interactions are most important for us to cultivate at our museum. Maybe it's just as important to be a place that reinforces the joy of anonymous interactions as one that encourages the work of building relationships. How much do you work on supporting people "being alone?" How much do you work on supporting people "being together?" How much do you work on the social contact in-between? If you are reading this via email and would like to share a comment, click here.